“We have an epidemic here in America and no one is doing anything to cure it. There’s a direct correlation between family courts and suicides among parents, veterans and children. And the statistics show it is occurring at an alarming rate. If I can save one person from taking his or her life, then I have made my contribution to society,” Dr. Leon Koziol, J.D. 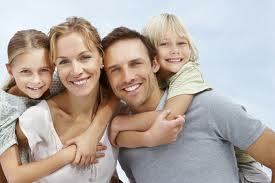 Dr. Koziol is giving you the tools to protect yourself and keep your family smiling during these difficult times! “If you decided to take up a sport such as football, you wouldn’t just walk onto the field without knowing how the game is played. Why is family court any different? Yet thousands of people walk into family court expecting justice, only to discover just the exact opposite.” ~ Dr. Leon Koziol, J.D. Don’t miss out!!! You’ve heard all of the horror stories about the dysfunctional family court system. Now, more than ever, parents are getting wise and no longer fighting each other through the purchase of a Family Court Survival Program designed to educate divorce and Family Court candidates before they are turned into victims. The Family Court Survival Program was developed by Dr. Leon R. Koziol, parental advocate and founder of the Parenting Rights Institute (PRI). It consists of a seminar DVD and multi-part reading program, it walks you through the court process and promotes alternatives to litigation. Going to court is serious business. In divorce and Family Court, your children and livelihood are at risk. Yet many parents proceed recklessly with little understanding of the system until the money runs out for their lawyers. Make life easier with the purchase of this program. Based on decades of court experience, it may save you thousands of dollars in legal expense. The DVD lecture should be viewed before the multi-part reading. Part One: The Lawyer. We begin with hypothetical consultations featuring abuses which may occur on both sides of a court process. You are shown crucial subjects to look out for when involving a lawyer in divorce, custody and support matters. Part Two: Self Representation. Here we give you confidence to represent yourself. If you cannot afford litigation or a lawyer proves ineffective, you are not alone. This handbook walks you through a court process with forms offered in Part Five. Part Three: The Judge. Because this is the person who may decide how your children are raised, you need to understand the realities of your court system. This booklet conveys valuable insights on the decision process common to most states. Part Four: Transcript. We continue to build your confidence with portions of a real trial transcript. You are introduced to an unprepared judge and two parents who were needlessly forced to litigate. It can avert lifetime harm to extended families. Part Five: Court Filings. This folder supplies partially completed forms which serve as flexible templates for filing petitions and motions in a domestic relations court. Our forms are more detailed than others offered in most court clerk offices. Part Six: The Appeal. Many victims are forced into appellate courts after losing their children, parental rights or support. This reading provides useful experience. “After running out of money for my lawyer, I discovered the program offered on-line by the Parenting Rights Institute. I digested it in my spare time and was able to go confidently into court and win a motion against my adversary. This was the same lawyer that was costing my ex-husband so much money. I wish I had access to this program before I hired my own lawyer. I could have saved myself and my children so much money and grief. It was worth every penny. If you would like to know more about my experience with this program as a parent, contact me through the Institute at (315) 380-3420.” ~ Cindy H., Syracuse, NY. IT’S TIME TO GET A GRIP ON FAMILY COURT BEFORE IT GETS A GRIP ON YOU! DISCLAIMER: This program is not a substitute for legal advice. It is designed to stimulate network assistance and options to litigation. All Rights Reserved: No part of this program may be used or sold contrary to these terms or express authorization of the Parenting Rights Institute. St. John’s University Professor Anthony Pappas explains how he was fleeced of $2 million in lawyer fees in a 12 year ongoing divorce having no custody or child support issue. Once you show a lawyer your financial statements as you must in any contested action, they learn how much they can charge. They will take every last dollar if you let them. Harmed by a Family Judge or Lawyer? Call Parenting Rights Institute for Justice!